Regardless of how the parties decide to characterise the arrangement, the law will ultimately decide whether the person is a contractor or an employee. Contrary to popular belief, having an ABN (or even an independent company structure) will not be determinative. It may sometimes point towards an independent contractor relationship or make a sham contract more difficult to detect, but it will only be one of many considerations. Why do people enter sham contracts? ignore the protections given to employees by law, such as for unfair dismissal, thereby creating a more 'flexible' workplace. Some employers also believe that it can reduce their payroll tax obligations and workers compensation premiums. they may be able to command a higher rate of take-home pay than they could obtain as employee. However, even where an employee wishes to be treated as an independent contractor, there are still risks for the employer. If you have 'employees', you must treat them as employees - for example, by paying the right amount of tax, by paying superannuation and providing leave, and by observing the unfair dismissal laws and other legislation giving protection to employees. If you don't, you can be required to remedy the situation and you can be fined. Sham contracting is prohibited by the Fair Work Act. 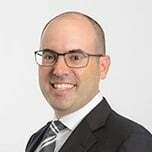 Employers can be fined for breaches, independently of the other consequences they can face for breaching legislative requirements (for example, in relation to tax or superannuation). A person whose engagement is terminated may have recourse to unfair dismissal remedies even if their contract says they are an employee. In addition, they may have claims for unpaid leave and superannuation if they have not been paid. Regardless of whether the issue ever comes to the attention of the authorities, if you ever intend to sell your company, this is an issue that any prospective purchaser (properly advised) will look at. If there is any risk that you have not paid the correct amounts or made the appropriate accruals, you should expect that they will take this into account when negotiating the purchase price. Conversely, if you ever buy a company, this should be a key area of focus to ensure that you do not inherit any unwanted risks or liabilities. In sum, employers should be extremely cautious before engaging anyone as an independent contractor. 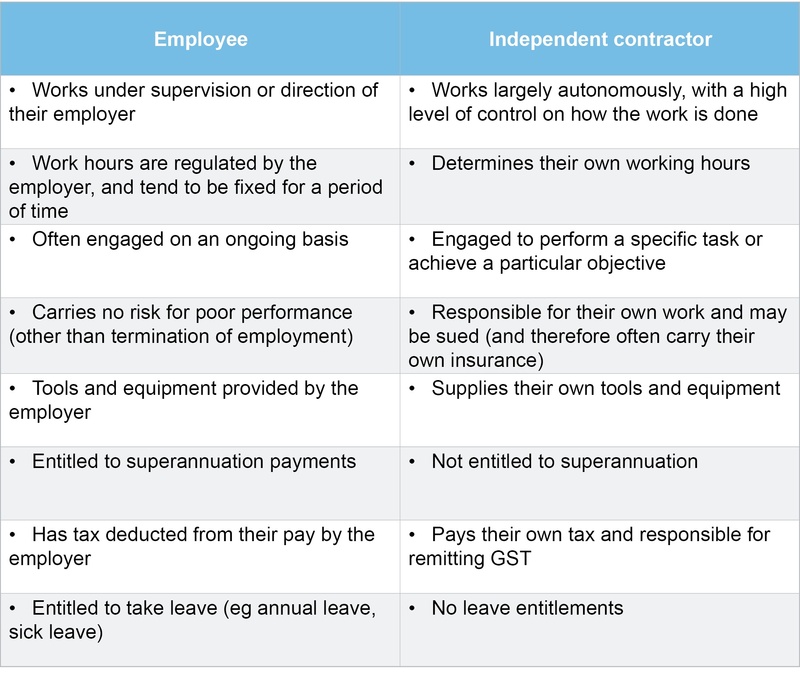 If the person falls on the wrong side of the employee/independent contractor divide, the arrangement could do far more harm than good in the long run.